Skin conditions commonly create a sense of anxiety in their patients. When faced with a market that is oversupplied with generic products, the road to successful management is often far from clear. GSK’s $3 billion acquisition gave them buy-in and access to the global market for skin care. It was then that the organisation also realised it had a huge potential internal audience from whom to learn from. 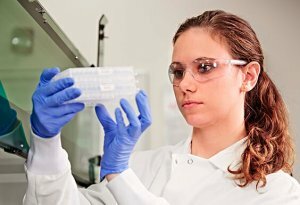 Via the 100s of GSK employees, it set the goal of being able to research and manufacture high quality products successfully for its primary target group – women with skin conditions. Running the internal programme, we listened to and observed the day-to-day lives of GSK employees, from shop floor to vice-presidents, across the UK, the US, Canada, Republic of Ireland, Mexico, and Brazil, to gain valuable insights. This included spending three months in a rural town in the North of England working alongside factory technologists, truly putting oneself in their shoes. By looking beneath the superficial, GSK’s insights were translated and informed not only new products, but new processes, new technology, and a virtual support community for employees. In turn enabling the delivery of millions of dermatological products to be better aligned to the needs of sufferers across the globe. The TEN Difference: Looking inwards not only outwards for innovation.